A Grey Ball and Chain including a large grey Ball and Chain Accessory – Ideal for Halloween, a Stag Do, or any fancy dress occasion! Add the perfect accessory to your fancy dress look with this brilliant Grey Ball and Chain. 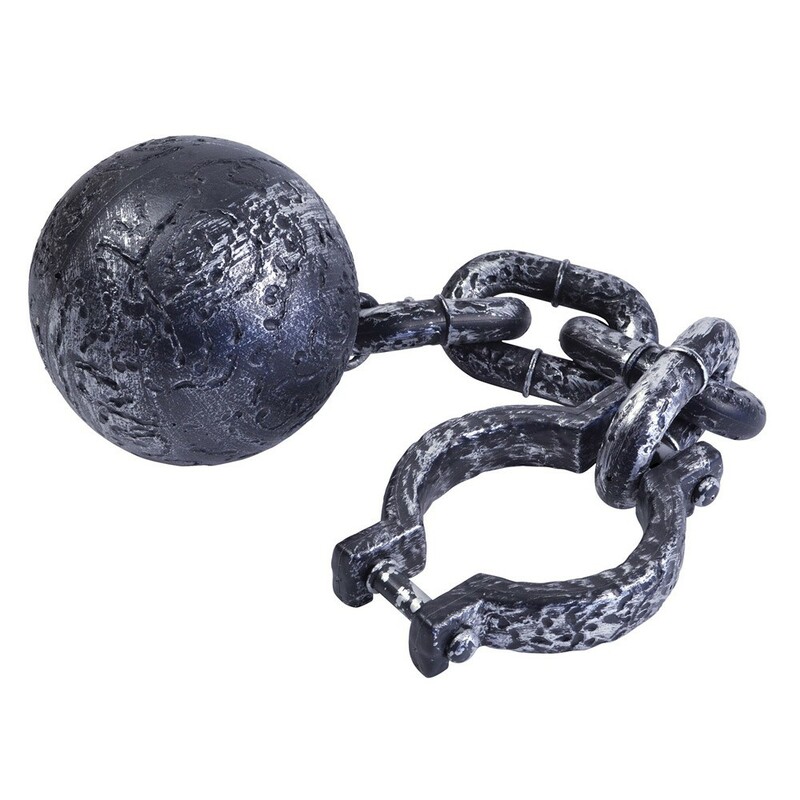 This fantastic Grey Ball and Chain comes complete including a large plastic Ball and Chain accessory. This lightweight plastic Ball and Chain accessory features a realistic metal effect finish, and will be sure to add that finishing touch to any fancy dress look. Perfect for Halloween, a Stag do, or any fancy dress occasion, this amazing Grey Ball and Chain will be sure to impress no matter what the occasion. So whether it’s your last night of freedom, or you want to stand out at Halloween, this Grey Ball and Chain will be sure to make you look the part!